Set for its annual running along the Fox River Trail — a paved pathway for bikers, walkers and runners that stretches more than 38 miles along the river it’s named for — the Pure Pikermi Half Marathon offers a late spring/early summer 13.1-miler that’s less than an hour’s drive from downtown Chicago. The race follows an out-and-back course that starts and finishes at North River Street Park, near the heart of downtown Aurora, overlooking the river. From the starting line on North River Street, the race unfolds along the river path, portions of which are built on old railways, which helps give them plenty of long, flat stretches. 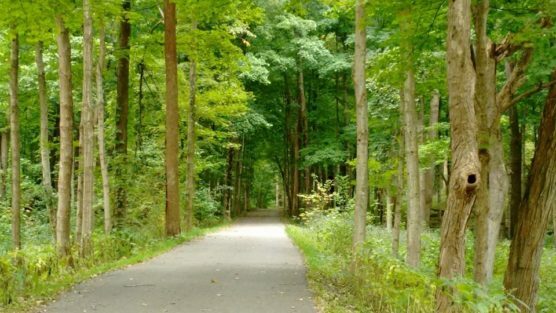 You’ll run through tree-covered stretches as well as along the river, and you’ll cross over the river at the East State Street bridge. 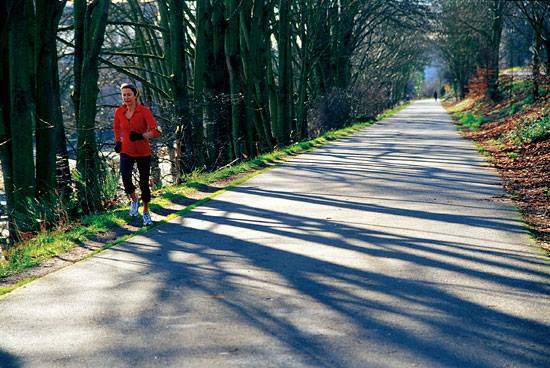 Once you reach the half-way turnaround point at Clark Island, you’ll head back along the route you’ve just run — through Batavia and North Aurora — all the way back to the finish line on North River Street, where you started. Where does the term “Pikermi” come from? This is a term that has come to be associated with the half marathon distance thanks to its roots in ancient Greece. The original marathon, if you remember the story of the ancient Greek runner Pheidippides, was said to have been run by him between the towns of Marathon and Athens to deliver the news of the Greek victory against the Persians in battle. It was about 26.2 miles between the two towns; the town of Pikermi lay about half-way between them, or at about the 13.1-mile distance. Located about 45 minutes west of downtown Chicago, June brings some of Aurora’s warmest and wettest weather of the year, with temperatures that average between the mid-50s and the low 80s, and rainfall totals that average just over 4.3 inches for the month. See the race route map for the Pure Pikermi Half Marathon here. 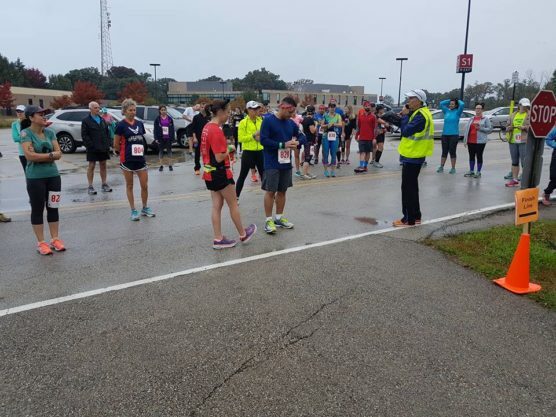 To reserve your spot in the 2018 running of Aurora’s Pure Pikermi Half Marathon or 2-person relay race, register online at RaceRoster.com here. 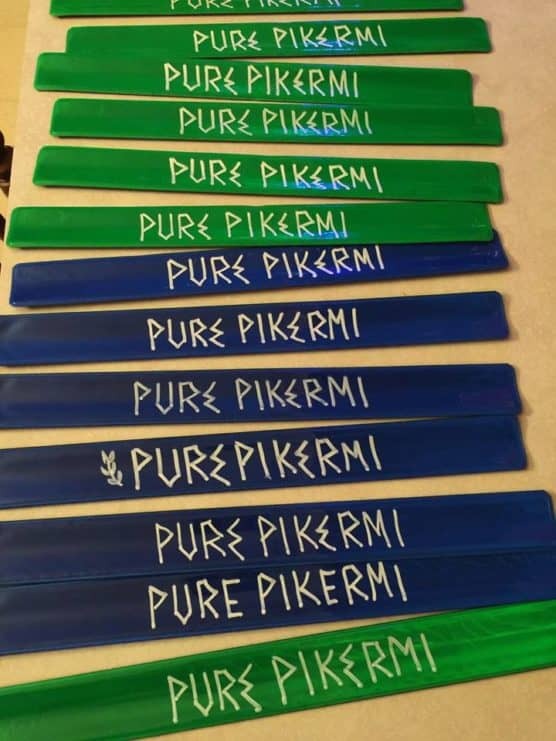 Ever run in the Pure Pikermi Half Marathon? Share your impressions here, as well as anything you learned about the race that you think other runners/walkers should know.